The RILBMDA offers college scholarships to students within our membership who display academic excellence, strong citizenship, positive character and a desire to make a meaningful contribution to society. The RILBMDA hopes to encourage our scholarship recipients to continue their education and be active role models and leaders in their respective fields and communities. Jay has been described by many as being “one of a kind.” His broad, ever present smile and gentle face are etched in our minds forever. His strong morals and values led him to succeed in business, the community, and with his family. Jay served on several committees that assisted schools in obtaining grants needed to provide students with a positive and rewarding education. Because of Jay’s commitment to the community and his strong support of education, the RILBMDA is proud to honor Jay’s memory. Dave worked in a variety of roles during his 41 years in the industry. 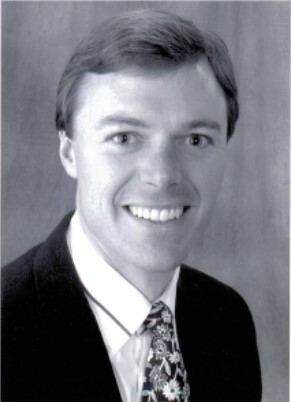 Much of his career was spent with Grossman’s, starting out in their manager trainee program while attending college, moving into a management position just prior to graduation and becoming the “go-to” person to turn around troubled stores, eventually working in 11 locations throughout Massachusetts and Rhode Island. Dave’s industry service included four years on the RILBMDA board, and two years on the NRLA board. He served as chair of the RIBLMDA Education andFinance Committees, led the annual by-law compliance review, and sat on the NRLA Education and Membership committees. To award up to three (3) $2,500 merit scholarships for post-secondary education to the families of dedicated employees of RILBMDA members and participating associate members, while fostering an awareness and interest in the building material industry. To award up to four (4) $1,250 merit scholarships for continuing education to employees of RILBMDA members, while fostering a continued awareness and interest in the building material industry. The Continuing Education Scholarship was established to create additional opportunities to RILBMDA members currently working in our industry. The RILBMDA acknowledges that continuing education is essential for adults who want or need to update their job skills and career knowledge base. This scholarship is a vehicle to provide recognition and assistance to those members that have invested in themselves and, therefore, our industry. The RILBMDA is committed to providing educational tools and facilitating learning environments for our members.